The electronic films market size is estimated to be USD 7.6 billion in 2018 and is projected to reach USD 10.2 billion by 2023, at a CAGR of 6.0% between 2018 and 2023. Electronic films offer various benefits such as chemical resistance, high-temperature tolerance, low coefficient of friction, optical transparency, conductivity, UV & weather resistance, fouling resistance, moisture resistance, high insulation, non-flammable properties, low surface energy, and low dielectric constant. Owing to these properties, electronic films are used in various applications such as electronic display, PCBs, and semiconductors. The increasing demand for smartphones, tablets, and other similar consumer electronic devices is a major factor driving this market. However, the high manufacturing cost of electronic films is restraining the growth of this market. On the basis of film type, the electronic films market is segmented into non-conductive and conductive films. The conductive films segment is projected to register highest CAGR. Conductive films are mainly used as optical films in the display of electronic devices such as smartphones, displays, wearable devices, tablets, notebooks and others, including monitors and desktop PCs. They are used to provide low resistance, high transparency, and excellent conductivity. Conductive films require a layered technology, which enhances their properties. ITO on glass, ITO on polyethylene terephthalate (PET), silver nanowire, carbon nanotubes, metal mesh, and others, including poly(3,4-ethylenedioxythiophene) or PEDOT and micro-fine wire, are the key materials used to produce conductive films. Semiconductors is a major application of electronic films. The market in this segment is projected to register the highest CAGR, in terms of value and volume, during the forecast period. Electronic films are used in semiconductors for surface protection and encapsulation purposes. The high heat resistance, non-stick properties, and good flexibility at molding temperature make these films suitable for use in semiconductors. Electronic films are widely used in semiconductor manufacturing for high-purity and chemical-resistant moldings. The electronic films market in APAC is projected to register the highest CAGR during the forecast period, in terms of both value and volume. This growth is attributed to the high demand for consumer electronics in China, South Korea, Japan, and Taiwan which are the leading producers of electronics globally. Also, the APAC countries such as Japan, Korea, Taiwan, and Singapore are regarded as important global sources of high-end semiconductors and other key parts and components. In-depth interviews were conducted with Chief Executive Officers (CEOs), marketing directors, other innovation and technology directors, and executives from various key organizations operating in the electronic films market. The electronic films market comprises major solution providers such as DowDuPont (US), Toray Industries Inc. (Japan), Gunze (Japan), Nitto Denko Corporation (Japan), Saint-Gobain S.A. (France), The Chemours Company (US), Toyobo Co, Ltd. (Japan), Teijin Ltd. (Japan), TDK Corporation (Japan), and 3M (US). The study includes an in-depth competitive analysis of these key players in the electronic films market, with their company profiles, recent developments, and key market strategies. 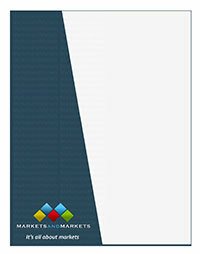 The market study covers the electronic films market. It aims at estimating the market size and the growth potential of this market across different segments, such as film type, material type, application, and region. Porter’s Five Forces analysis and the key market dynamics, such as drivers, restraints, challenges, and opportunities, influencing the growth of the electronic films market have been discussed in the report. The report also provides company profiles and competitive benchmarking of major players operating in the market. The report will help the market leaders/new entrants in this market with information on the closest approximations of the revenue numbers for the overall electronic films market and its subsegments. This report will help stakeholders understand the competitive landscape and gain more insights to better position their businesses and plan suitable go-to-market strategies. It will also help stakeholders understand the pulse of the market and provide them with information on key market drivers, restraints, challenges, and opportunities.